For almost thirty years, the lawyers at Bellotti Law Group, P.C. have helped those in Boston and its surrounding communities who have been injured due to the negligent or reckless actions of others. The most common lawsuits in Massachusetts are personal injury, wrongful death, workers’ compensation, defective product liability, medical malpractice, car accidents, bike accidents, and pedestrian accidents. 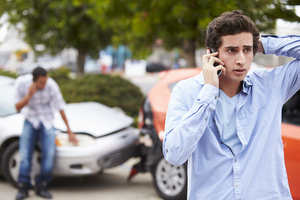 In our practice, we have dealt with all of these types of claims and many others. Our knowledge and experience allows us to achieve a large number of settlements in favor of our clients, all while avoiding time consuming litigation and trial. When necessary, we have experienced litigators who will skillfully present your case in court and work their hardest to achieve a favorable ruling. The laws and time standards are complex. There are many questions to be answered. To ensure that you and your family receive best opportunity to recover after a tragic accident, contact Bellotti Law Group, P.C., today or call 617-225-2100 for your free consultation.